Hip Hip Whooray!! That's what I was yelling out, dancing around with my camera. 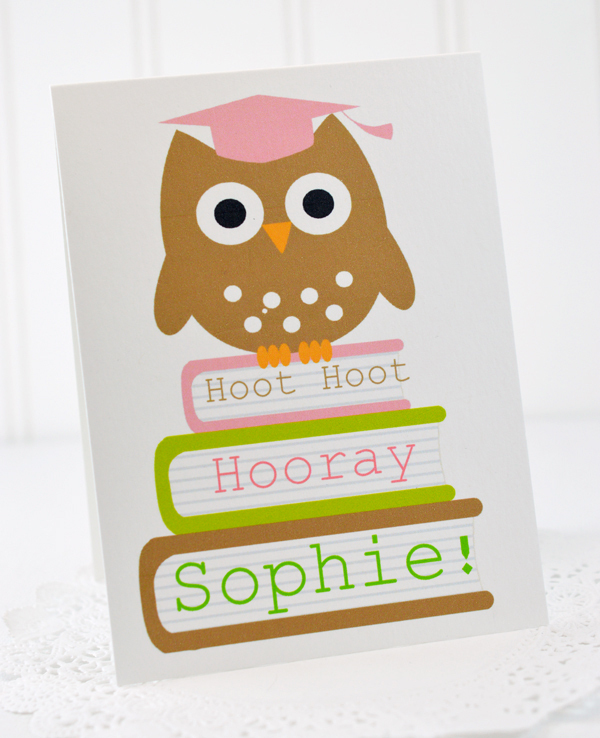 Okay, well maybe not the WHOO part, but definitely HOORAY! 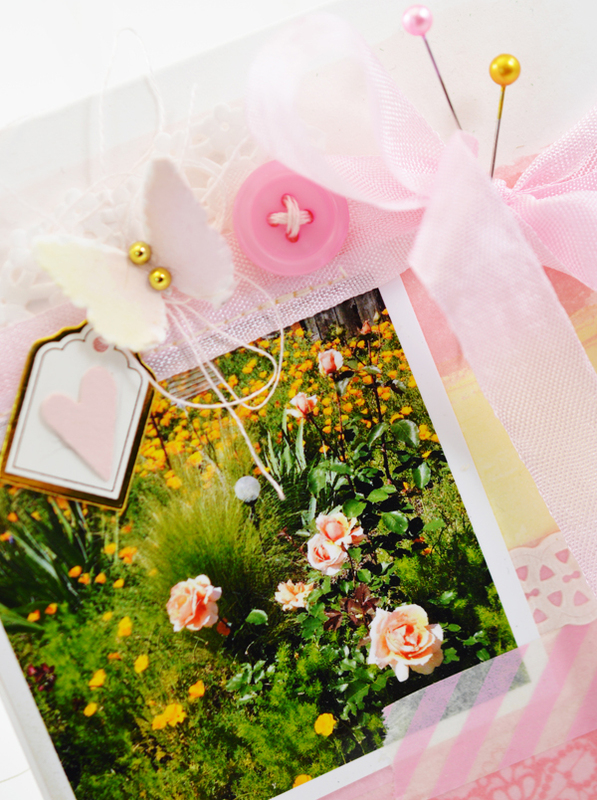 Remember on the last post, I lamented my loss of quite a few files on my computer and especially the card I made for Suzanne with a photo of her aunt's garden? Guess what I found on my camera??? 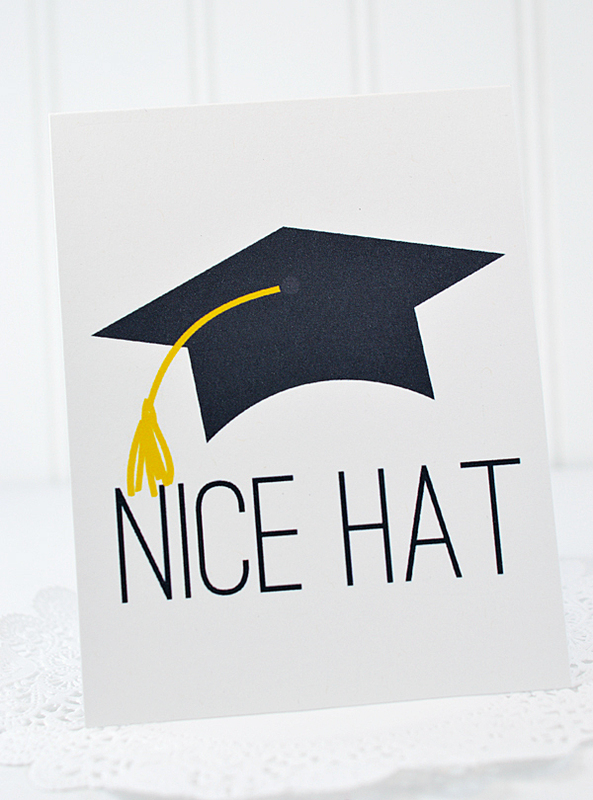 THAT card!! Can you believe it? Somehow I didn't get it deleted off! Hip Hip Hooray! I'm so glad I found it! 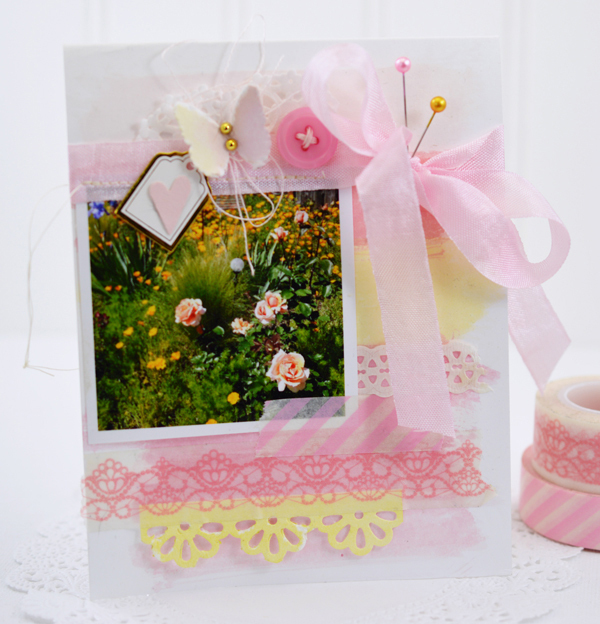 This card was so fun to make - I put down a watercolor background, in pinks and yellow. 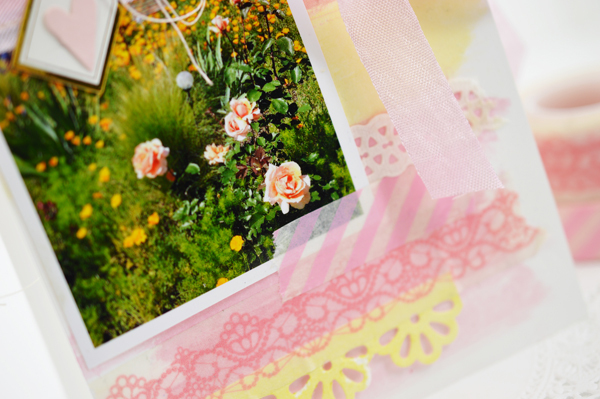 washy tape and fancy borders... I'm still doing a happy dance! 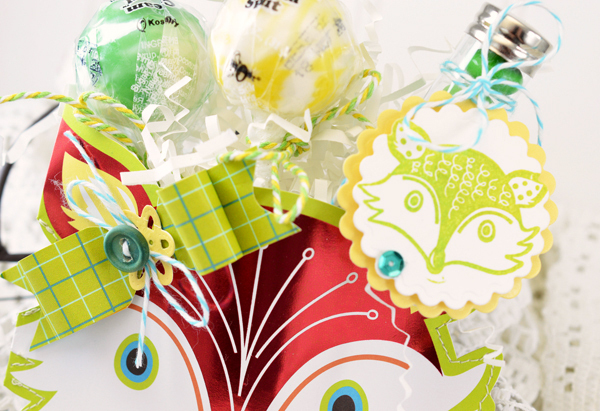 I put together an owl kit awhile back, sold out, and found another set of owl cards. she's got a bit of flair! 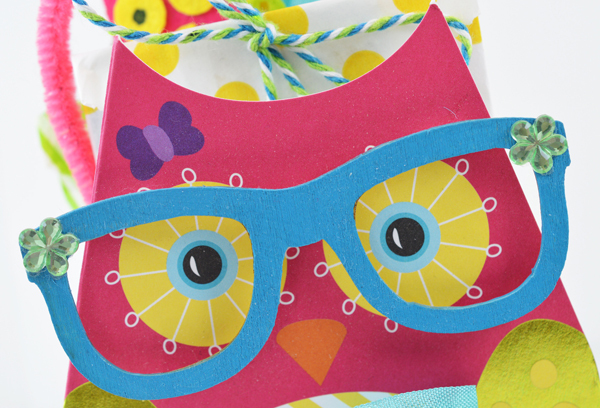 If you're interested in an owl kit, I have a very small number in my etsy store. The kits even come with all the inside packaging. 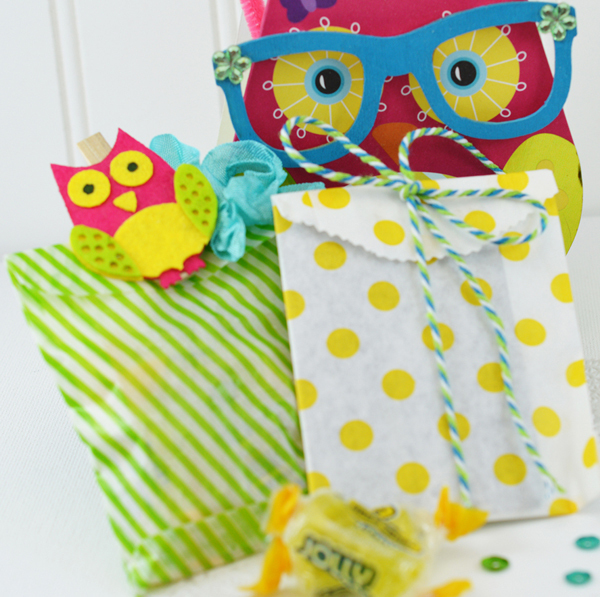 You just need adhesive and the goodies for inside the packaging! Edited to add: Owl kits are sold out. Thank you! My daughter thinks I'm jinxed when it comes to electronics. She's always saying "Only you, Mom!" Well, I ended up getting a new computer and am trying to adjust. You may remember my post about Suzanne and her photos. 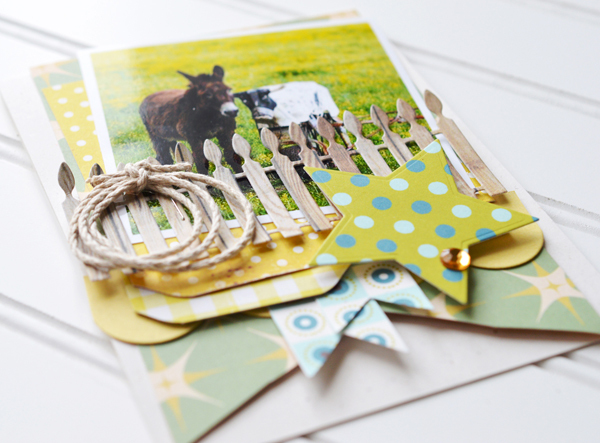 I've created quite a few cards for her since then, but I only have photos of this one, because I did it this week. You'll just have to take my word for it: I had a lovely one of Suzanne's aunt's garden that I really wanted to share. Luckily, I like this one, too! 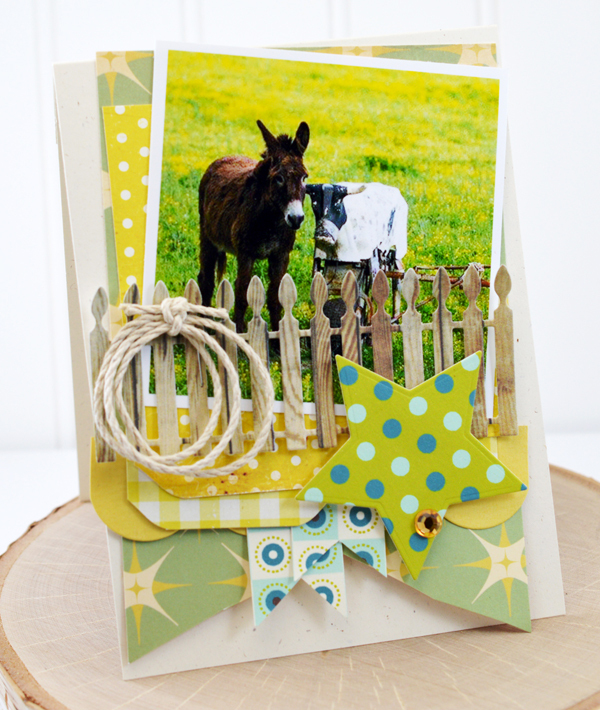 The photo is so sweet with the donkey (burro? mule?) standing there with the wooden walk-a-long. We have to take friends where we find them, right? Maybe they need to get him a playmate! I'm off trying to relearn Photoshop Elements (I upgraded to PSE12 from PSE8). Yikes, who knew it would be so different? Hi, there! It's Memorial Day - a time for remembering those who have died while serving in the Armed Forces. I also want to take just a moment to thank those (and their families) who have served and are serving now - appreciate you so much! I enjoyed all the comments about the word "girl" on the previous posts - it seems most of you are thinking along the same lines as me. And by the way Toni, I do think that "lass" is quite lovely and I may have to insert it more often into my vocabulary! 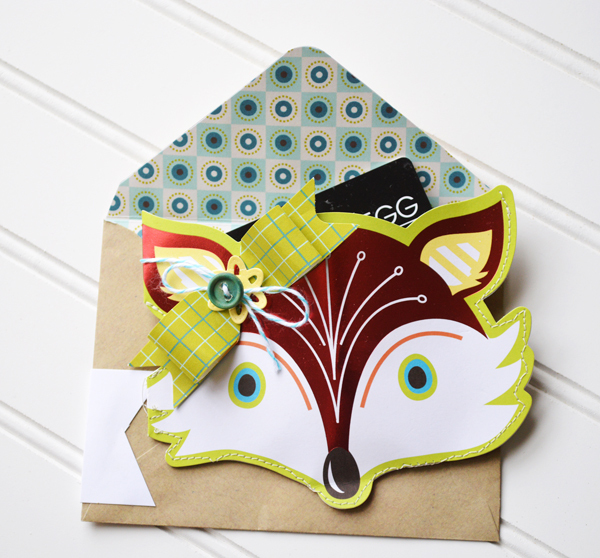 I got a couple of emails asking if I had other ideas for the fox face cards that I created a treat pocket out of earlier. (By the way, I do have one Fox Treat Pocket kit left.) It's so cool that several of you were able to find the fox cards at Michaels. Okay... well, here's what I came up with: 1. 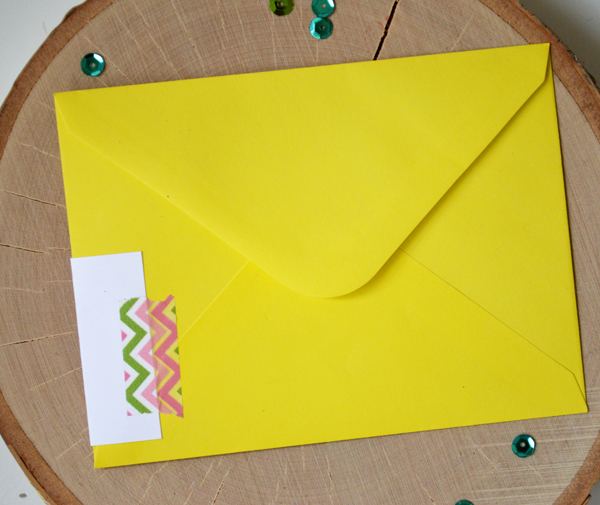 How about leaving the card alone and embellishing the envelope with a wrap and liner? 2. 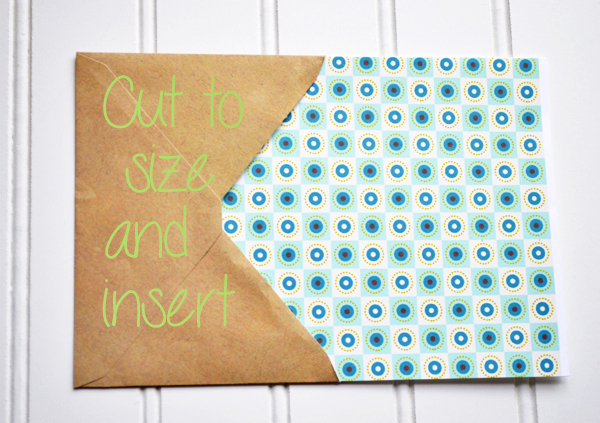 How about combining the two (treat pocket and envelope) to make a gift card holder? This is Easy as 1, 2 Buckle My Choux! 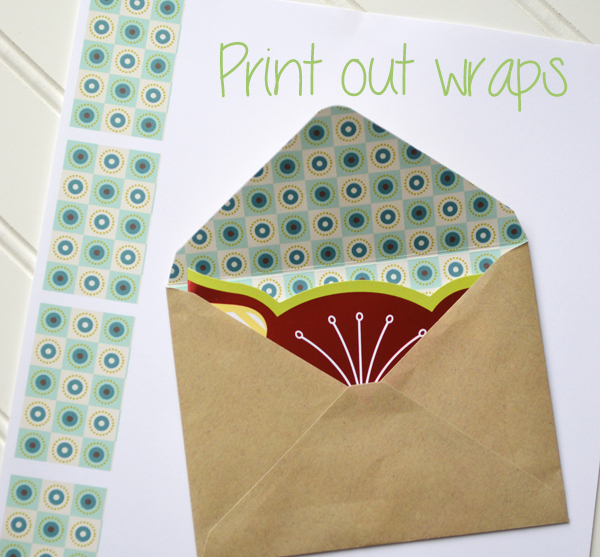 The paper I used is from Clip Art Garden from Checked Dotted and Striped. I just cropped the paper and then copied it several times on the paper (65 lb). Cut them to desired size (this one is 1 3/4" wide by 5 3/4" long. 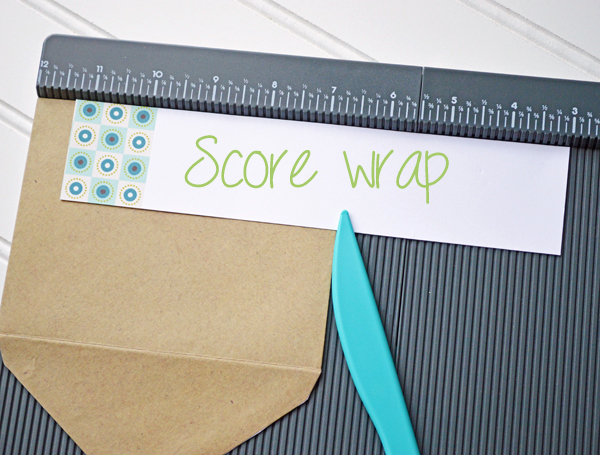 I placed the wrap where I wanted it to start and used the envelope for a guide to make a score to fold the wrap around to the back. I cut a banner end on the wrap (see photo a couple above). 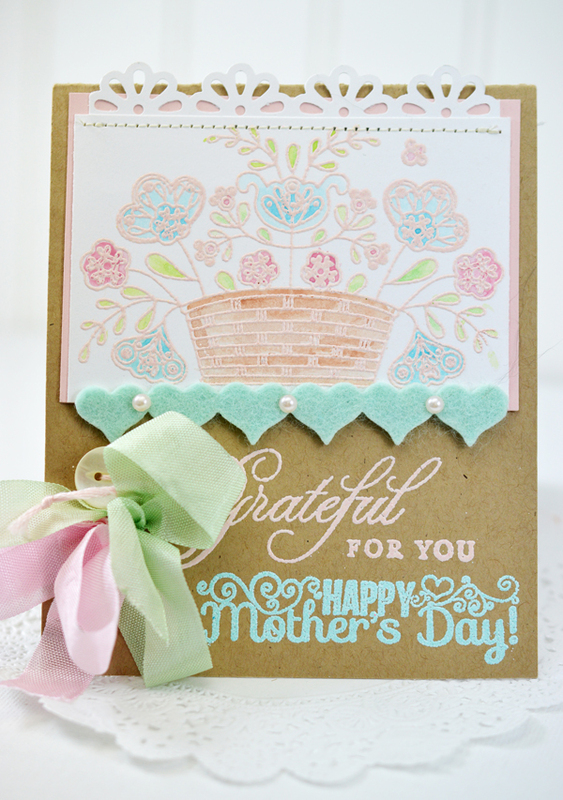 I used Stampin' Up new stamp set Point & Click (also used it here). It is photopolymer and is a result of a collaboration with Becky Higgins who is Project Life. 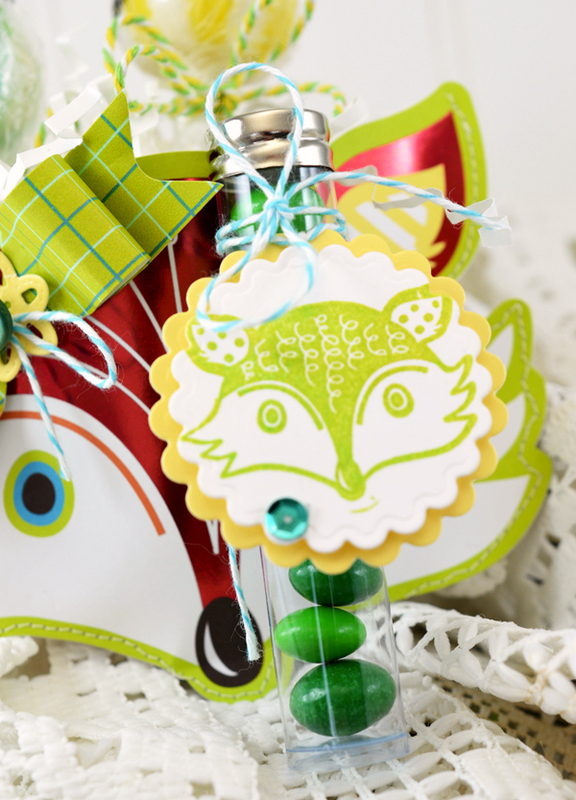 And of course that cute little fox face from Michaels. 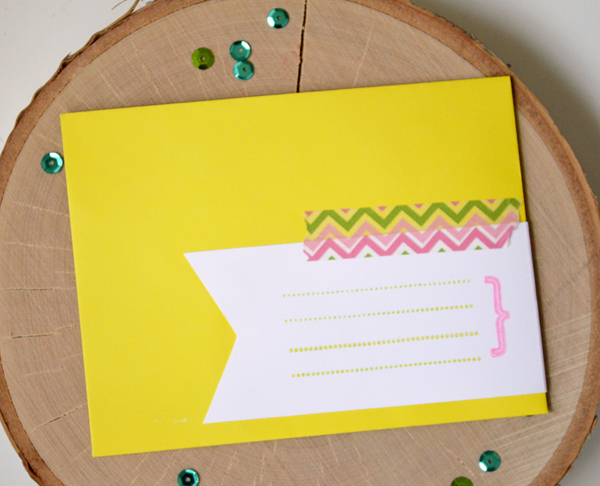 To make the liner, I printed a full page of the patterned paper (65 1b) and cut it down to envelope width. Leave plenty of length to cut off. 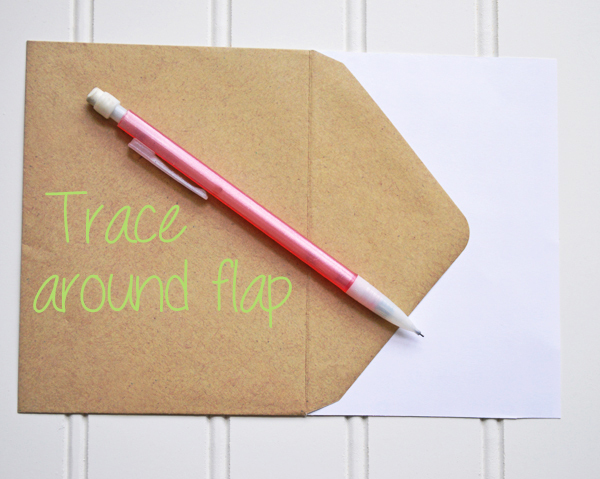 If you are really good at cutting - skip the tracing and just cut around the envelope. 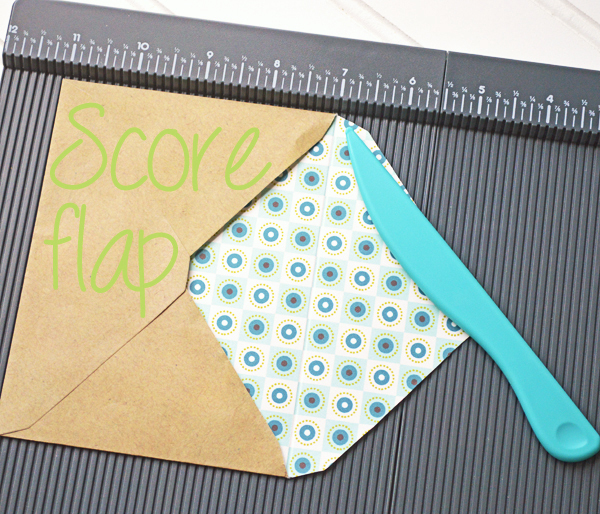 After you adhere the liner, score the bottom of the flap. This will make it easier to fold down. Okay, I know foxes are everywhere! But do you have them in your back yard? One of the owners of our company has a mama fox and babies in his backyard. Isn't that the coolest? The closest we've had is possums. And I do mean close. Babies... six baby possums...in our wall. Yes, you read that right - in our wall! I have to say baby possums are actually very cute! It took about a week, but I caught all but one and we relocated them to a wooded area. At least they've got a chance... and we haven't heard the other one in over two weeks. Hopefully, he left! Anyway, back to foxes. You all know that I love the bins at Michaels. I often find goodies there. 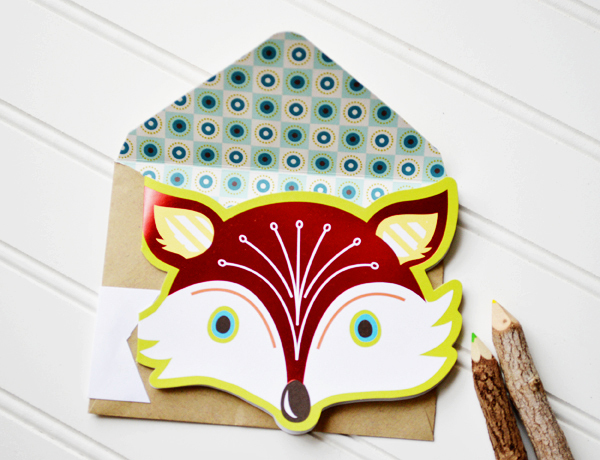 You might remember this cute fox stamp plucked from the Michaels' bins. 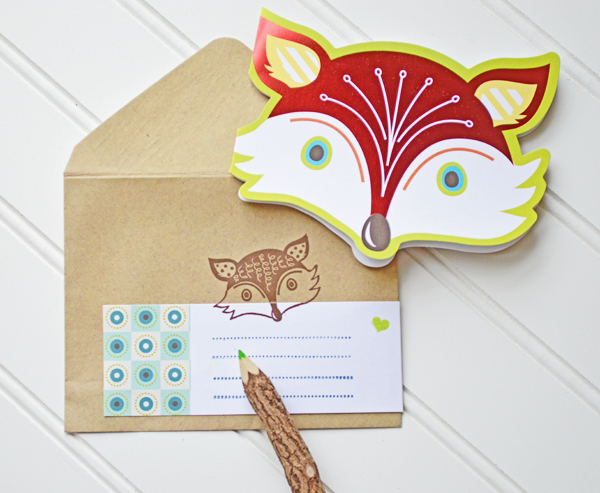 When I made my weekly trip to Michaels, I came across matching fox notecards! Couldn't resist. I turned the notecards into treat pockets! 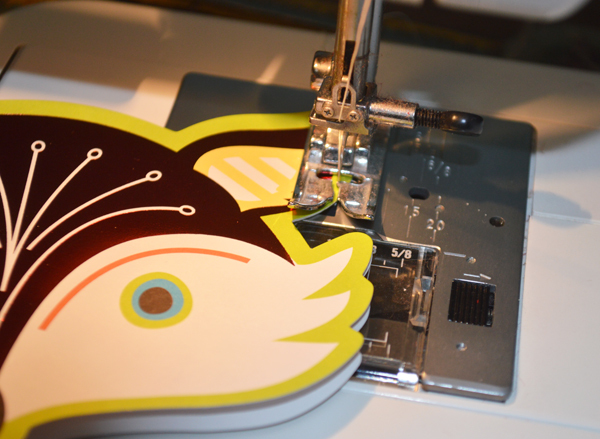 So easy or maybe I should say sew easy! 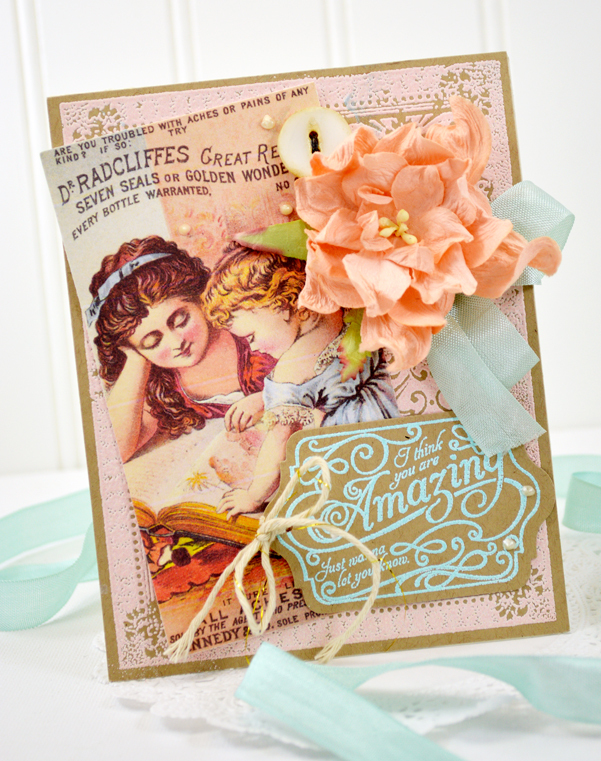 I'm going to keep an eye out for more shaped cards to try this on. Once I got it sewed - all the way around - except for the top, I added a plaid bow and goodies! 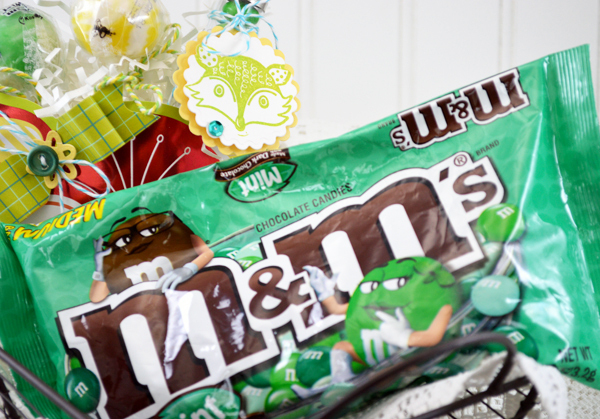 Have you seen mint M&Ms? I picked up a small package to fill the candy tube. Dennis finished them off and I think he must have really liked them, because when he came back from the store today, he had a big bag! They are so pretty - three different shades of green. 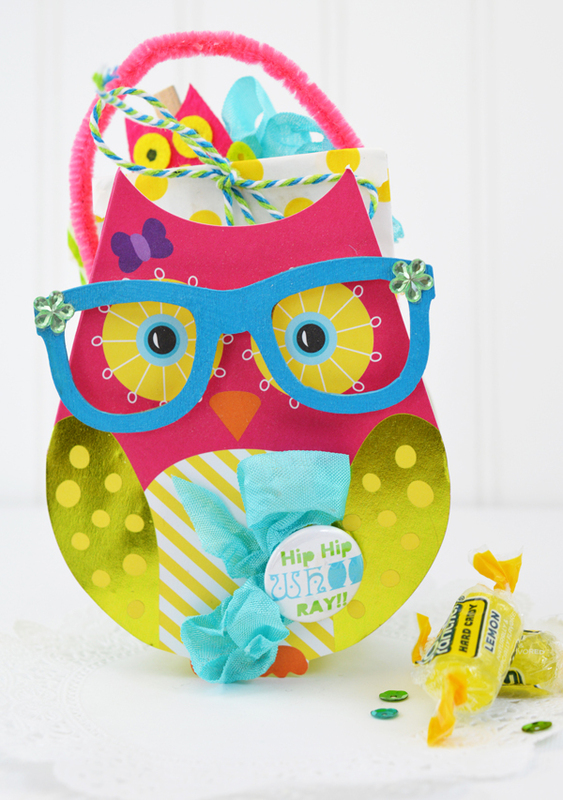 Perfect size and color for the candy tube! 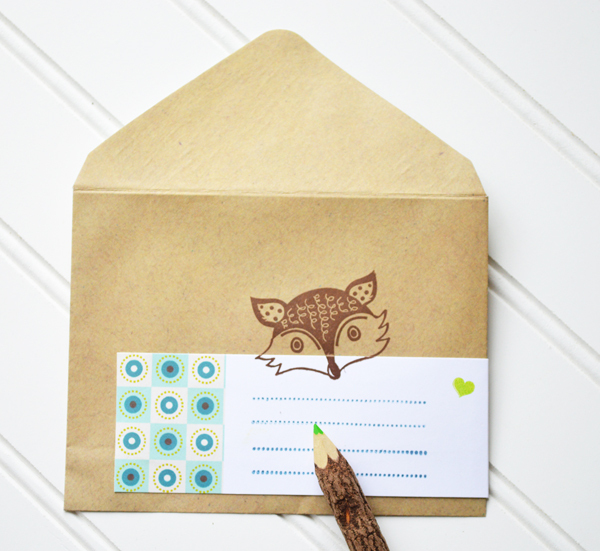 Would you like to make a fox treat pocket? I've got a very limited number of kits in my etsy store. You get everything you need (except candy, thread and adhesive) If you don't have a sewing machine, I can sew the pocket for you. Check out the Fox Treat Pocket here. We had such lovely weather this weekend. Is it time for butterflies yet? I've always been fascinated when they come flitting by. We never have very many around the house, maybe we need to plant different things to attract them. I might not always be able to see butterflies outside, but I can always create with them. I love vintage butterflies. If you like this one, you can dowload it below. 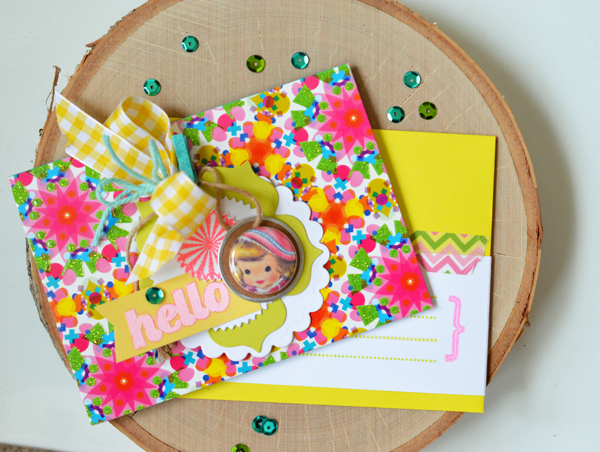 I love the pretty kraft treat bag (just one of 4 designs from my store) and the tiny punch (Petite Curly Label Punch). I stamped it with one of the hearts from the Language of Love stamp set. 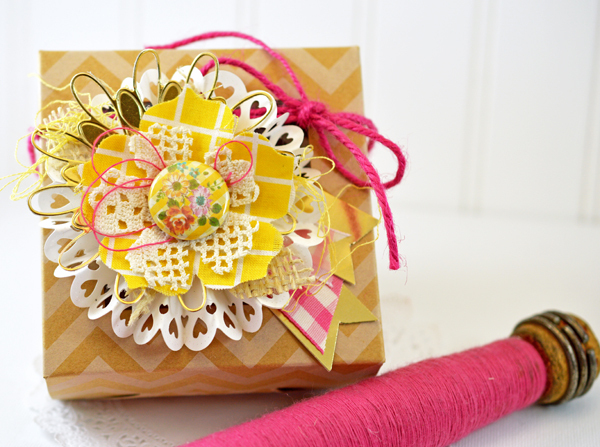 No need to glue the doily - just wrap it with washi tape. 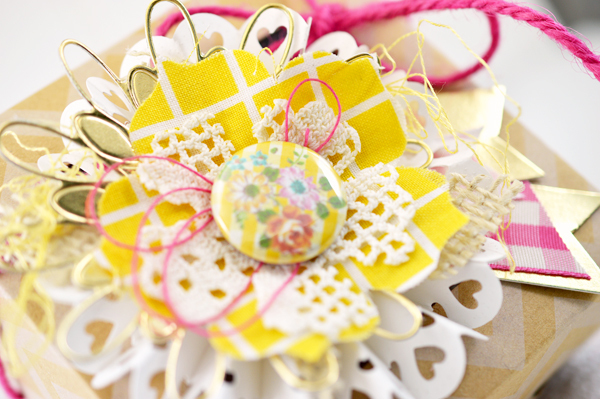 Be sure to make the washi a little longer than the fold over of the doily on the back - that way it will hold it down. 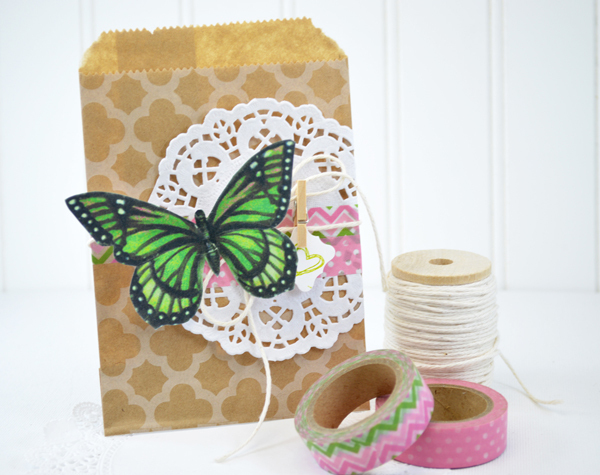 Another tip: Stick a piece of cardstock inside when you wrap and tie the twine. That way the bag won't bunch and it's easier to make the twine tight. 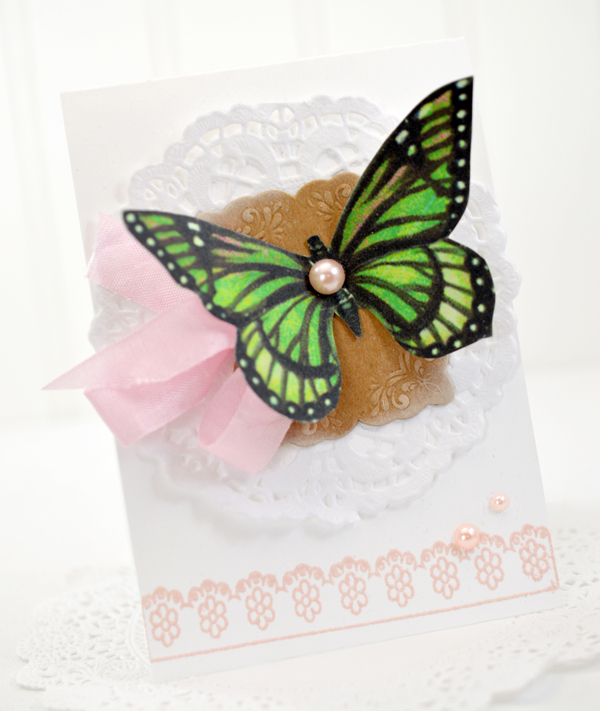 I also created a card using the same butterfly. 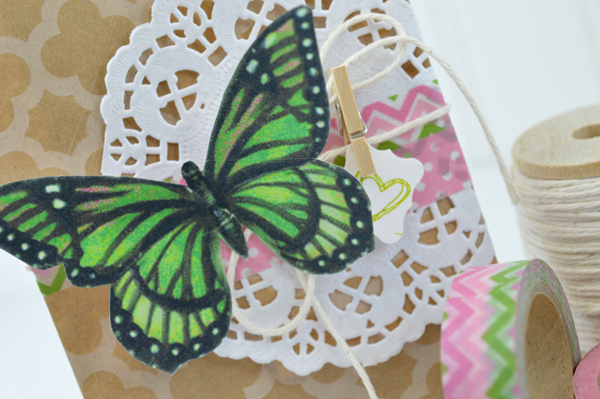 You wouldn't think a green butterfly would be that versatile, but amazingly it goes with lots of things! If you would like to download a copy of the butterfly, click HERE. 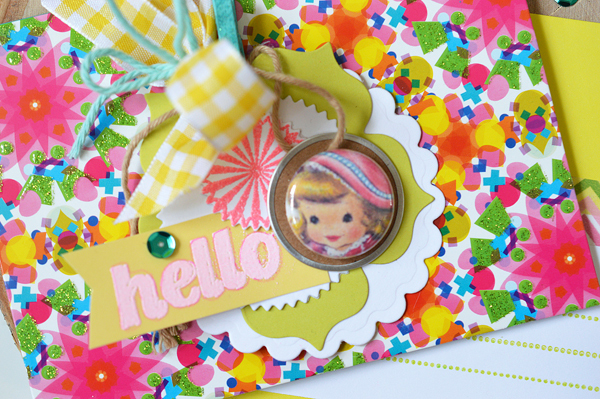 If you remember the Hello Doll post, you know that I made my mom a paper doll dress card for her birthday. I'm continuing the theme here. 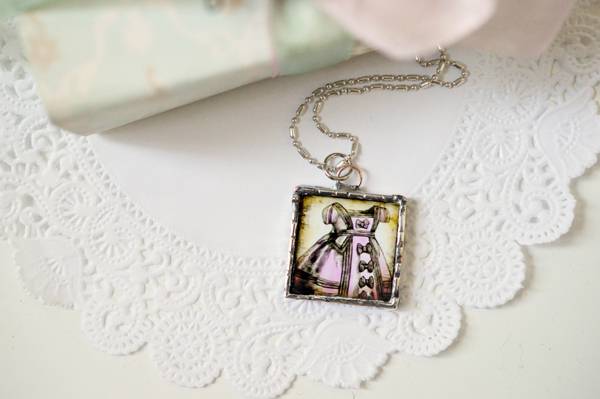 I soldered a dress charm and antiqued it a little. I wanted it to look kind of worn and old. And made a little box to store it in. Isn't that little dress sweet? It is an image from Land of Enchantment. 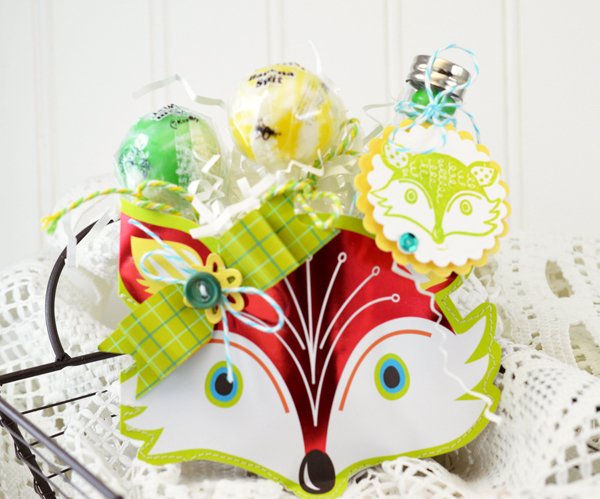 This image is Basket of Blessings from Papertrey Ink. 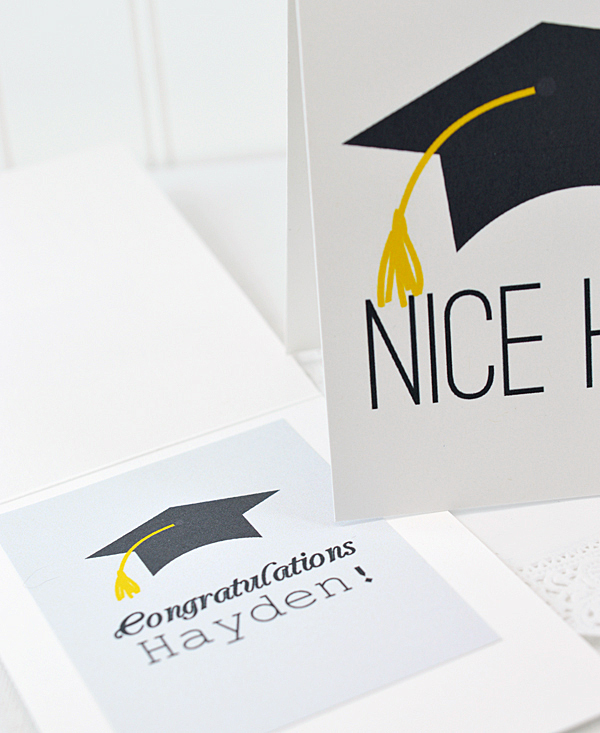 I heat embossed it and then watercolored the image. 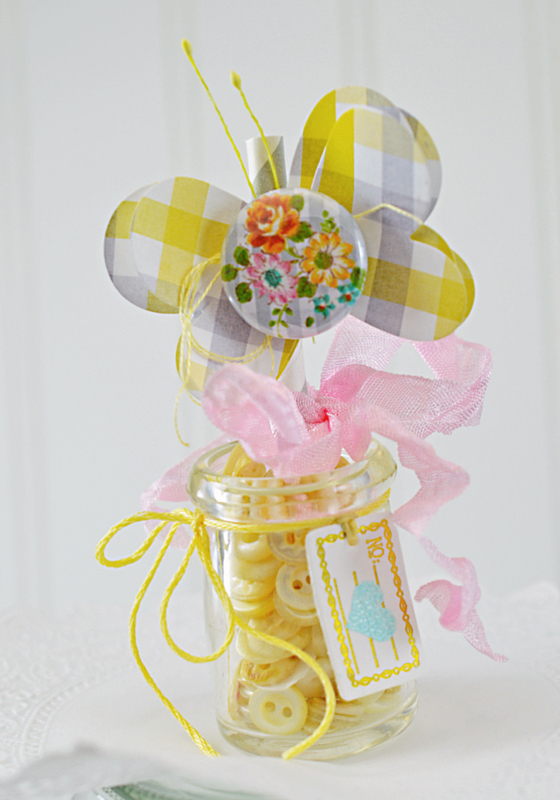 Have a wonderful weekend and to all the Mom's: Have a happy Mother's Day! 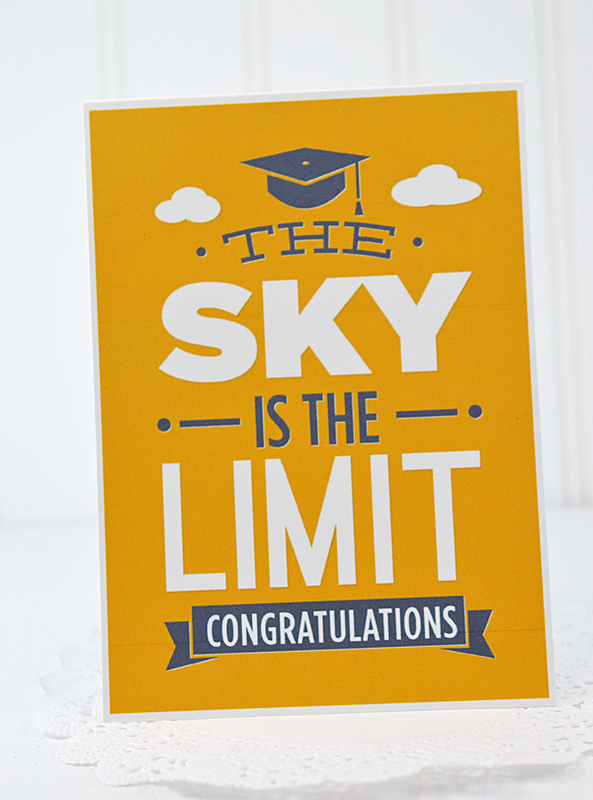 Thank you to everyone who left a comment on the last post - it was so lovely to read all you had to say! 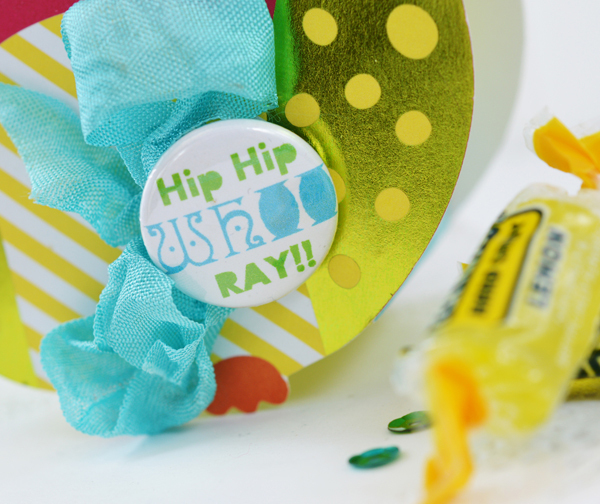 Part of the giveaway package from the Hello Doll post includes flair pins (is that redundant?) 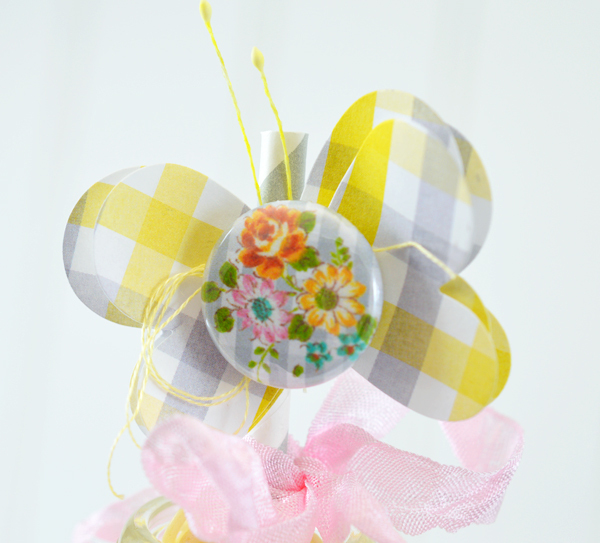 that I made using the Floral Gingham Circles from Free Pretty Things for You. How about a couple of other ideas on how to use them? How about the middle of a hodge podge flower? 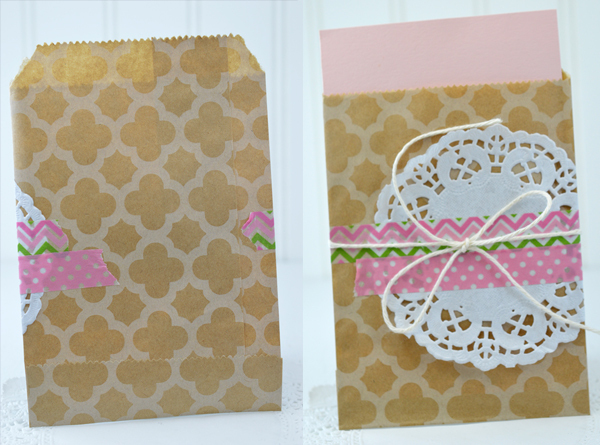 Doesn't it make a pretty package topper? And how about a little "sweet nothing"? Sometimes I think we need more "sweet nothings" in our lives. 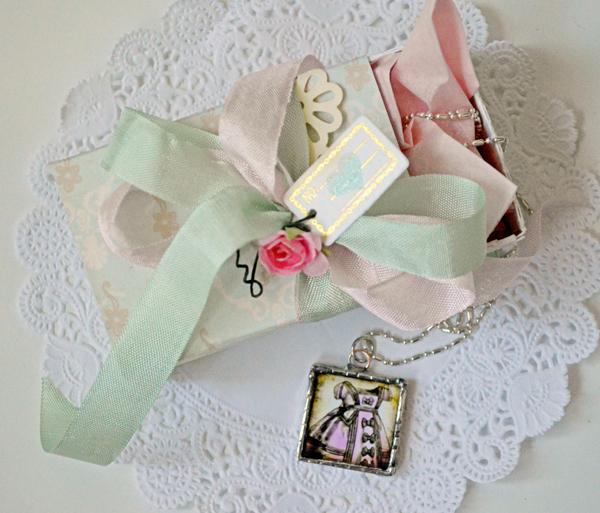 It has no purpose, except to be sweet and maybe remind the person you give it to of you. Mercedes, email me ( email in side bar) with your info and I'll get your goodies off to you ASAP! 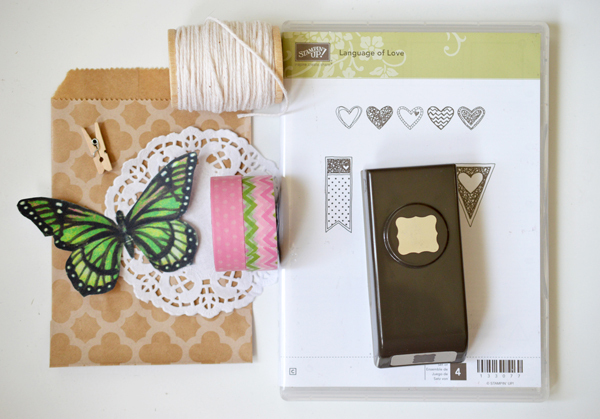 I'm not telling what may be in the Surprise Bundle, but I will send lovely things for you to create with! Each Bundle will be different.